One of the biggest unknowns for the future of Earth’s climate is Antarctica, where the West Antarctic Ice Sheet holds so much ice that if it collapsed could bring several feet of rising seas. 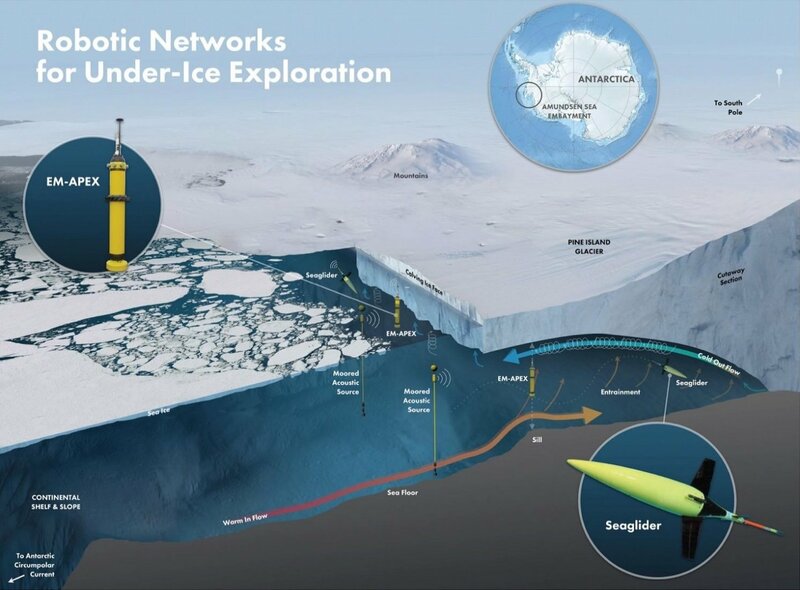 A new partnership between the University of Washington’s College of the Environment, the UW Applied Physics Laboratory and Paul G. Allen Philanthropies will use a robotic network to observe the conditions beneath a floating Antarctic ice shelf. 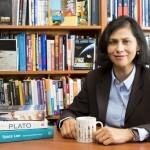 Ice shelves act as buttresses that restrain the flow of inland ice into the sea, which under a warmer climate could trigger many feet of global sea level rise, on a timeline that is largely unknown. Observations in the water-filled caves under ice shelves could help explain how warmer seawater interacts with the glacier’s underbelly. The team members performed a final test Nov. 6 in Puget Sound before the instruments are deployed in the Southern Ocean from a Korean research ship, the R/V Araon, that departs from New Zealand in mid-December. The ice shelf is the floating portion of a glacier that extends seaward from inland ice, which rests on bedrock. Most of Antarctica does not yet show significant surface melt, but scientists think melt is happening at the glacier’s underbelly, where relatively warm ocean water meets its underside. What is learned with this new data will help scientists better understand the stability of these ice shelves and help make predictions about sea level rise. 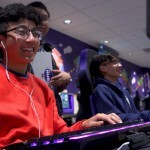 “This is one of a series of philanthropic investments by Paul Allen to improve our understanding of how the Earth is changing and how it’s being impacted by climate change,” said Spencer Reeder, director of climate and energy for Paul G. Allen Philanthropies. 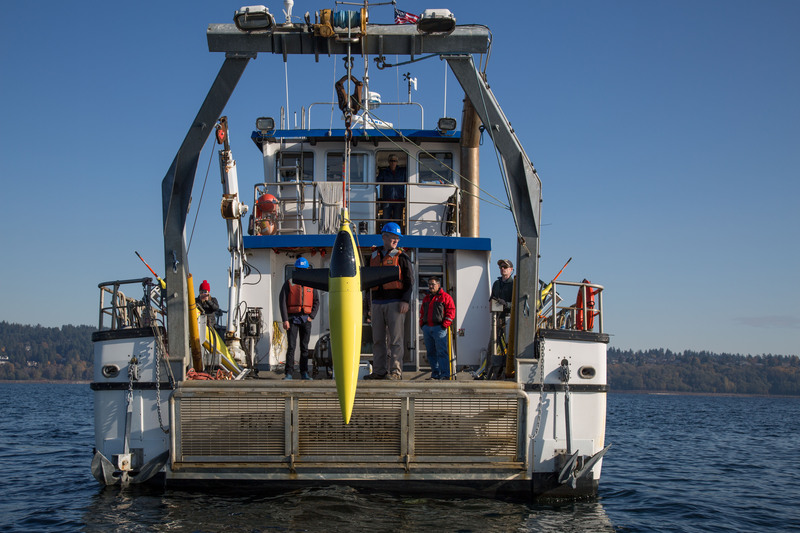 UW oceanographers invented the Seaglider in the mid-1990s, with support from the National Science Foundation, and still build research models of the torpedo-shaped ocean drone. UW researchers adapted the Seaglider for operating under ice, and have been using it to sample below Arctic sea ice since 2008. In 2014, Lee used a Seaglider and other technology in the Arctic Ocean to track the breakup of summer sea ice. This new project will deploy a similar robotic network in the Southern Hemisphere. The environment is more challenging because the instruments must venture into the ocean cavities formed by ice shelves, which are very complex, but largely unknown, environments. This effort included figuring out how to develop gliders that can get in and out from the ice sheet’s edge without being crushed by moving ice, swept away by fast-flowing water or trapped in the complex of ridges and crevasses on the ice shelf’s underside. This year’s test also will use complementary technology designed by James Girton, an oceanographer at the UW Applied Physics Laboratory, which drifts with the currents while moving up and down gathering data. The team has devised new navigation algorithms for the Seaglider and tested them in simulations to make sure the instrument can navigate and return safely. The plan is for the gliders to initially travel in and out of a cave several times a day in summer, surfacing between each trip to beam data back to shore. 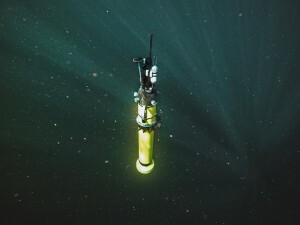 Once the ocean surface freezes for the Southern Hemisphere winter, the robots will continue to take measurements on their own, and will beam data back only when they emerge months later in the spring. Team member Pierre Dutrieux, a glaciologist at Columbia University’s Lamont-Doherty Earth Observatory, has used other technologies to gather more limited observations below ice shelves. He and Jason Gobat, an oceanographer at the UW Applied Physics Laboratory, will travel to Antarctica in December for the first deployments under Pine Island Glacier, if conditions allow, or another nearby extension of the West Antarctic Ice Sheet. They plan to deploy three gliders and four floats and leave them down for a period of about a year. The Korean Polar Research Institute (KOPRI) is also partnering for this mission. KOPRI will provide field support for the deployments from its ice breaking research vessel Araon, will conduct complementary measurements from the ship and will collaborate on the subsequent analysis of the resulting data. For more information, contact Lee at craiglee@uw.edu or Christianson at knut@uw.edu.